In Fast Food! 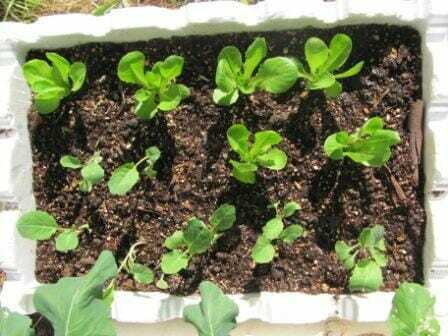 DIY Instant Veggie Garden: Part 1, I shared a quick way to grow in recycled polystyrene (Styrofoam) boxes. One day I bought home some organic seedlings (with good intentions to plant them the same day), but then … a dozen things happened and they sat forlornly by the door waiting for my attention. Next thing, it was time to make dinner and I decided my little seedlings would have to wait till the next day to be planted! In our hot climate, I knew they’d fry outside so I gave them a little extra water and looking for a cool solution, popped them in the fridge to keep them fresh! I figured we keep veggies fresh in the fridge so why not seedlings? It might have saved my plant babies, but you know what they say about “out of sight – out of mind”! … Next day, they were totally forgotten because they weren’t visible! By the third day I wondered what was in the newspaper in the fridge and unwrapped them, feeling a pang of guilt for my poor little seedlings still waiting for their new home. So out I went to find a place to put them in my garden. In my haste to buy new seedlings, I hadn’t realised the garden bed needed far too much time spent on it before I could plant them. So I needed another temporary alternative! I spied the poly box and quickly filled it with my ready-to-go homemade potting mix. I had 12 seedlings and knew it was better to get them into the potting mix and a healthy growing environment for a few days as a temporary nursery, until I was able to get the garden bed prepared and transplant them. Well, you can probably guess … life happened in the meantime … and that first poly box became the permanent home to a dozen very healthy lettuces and herbs by default! They were all very shallow rooted edibles that were light feeders. The herbs didn’t take up too much ‘personal space’ so it was a very efficient system for growing a high yield in a small box. They say “old habits die hard” and in my case, although I have often intended to have a garden bed ready for seedling babies when they need planting, it isn’t always the case! So my backstop Instant Veggie Gardens have become a specialty and I have worked out a very efficient quick system for planting, fertilising and maintenance to successfully grow a wide variety of vegetables and herbs. If you haven’t tried this yet, I’d encourage you to give it a go! 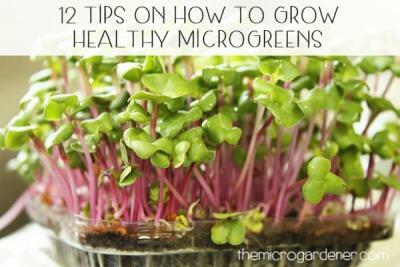 I’ve suggested a few crops you can easily grow in these micro gardens. 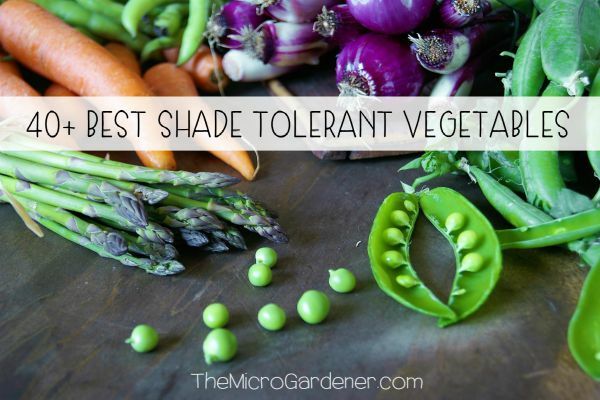 What you choose to grow depends on your climate zone, weather, aspect and personal taste andt this list is by no means exhaustive! In shallow boxes (15-20cm deep) you can grow a wide range of food crops but some edibles need the deeper 30cm boxes. 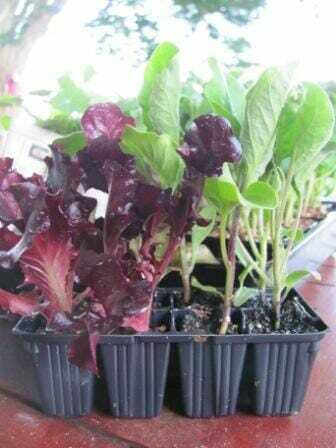 These delicious, healthy veggie gardens were grown by Deb Morgan, a Micro Gardener subscriber. Deb was inspired to make these incredible edible Christmas gifts for some VERY lucky friends! Thanks for sharing your idea Deb with The Micro Gardener Community. The plants are grouped according to a variety of needs and tastes to help you ‘shop’ for your favourite combination and include the minimum depth you need for each plant. 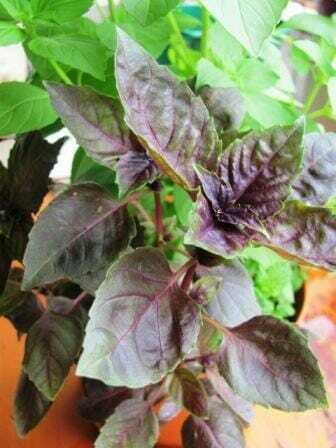 Try growing Asian greens for stir fries and salads (e.g. baby bok choy, tatsoi – use like spinach or lettuce, and pak choy (15-20cm/6-8in). 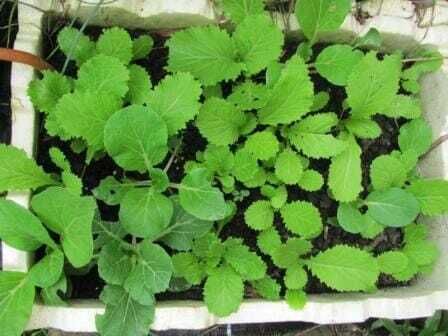 Mustard greens grow in 20-25cm/8-10in. 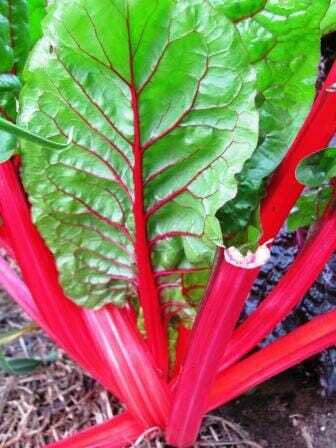 These are high yield fast growing greens you harvest by snipping with scissors. 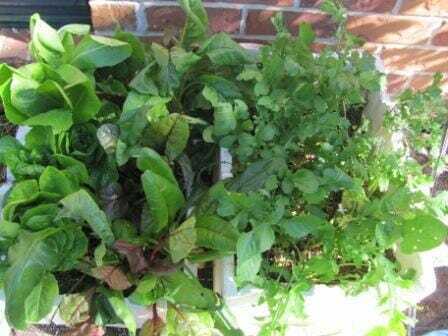 So many leafy greens can be grown in a compact space – here are 4 of my micro gardens succession planted for a continuous supply of salad and veggie ingredients for the kitchen. Shade lovers are great alternatives if you have limited sunlight such as on your balcony or verandah. 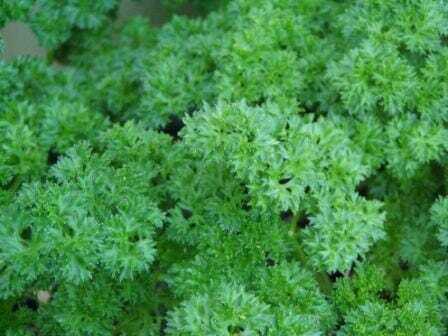 These can still grow well in lightly or partially shaded areas. Growth won’t be as fast, but you’ll still enjoy a harvest. 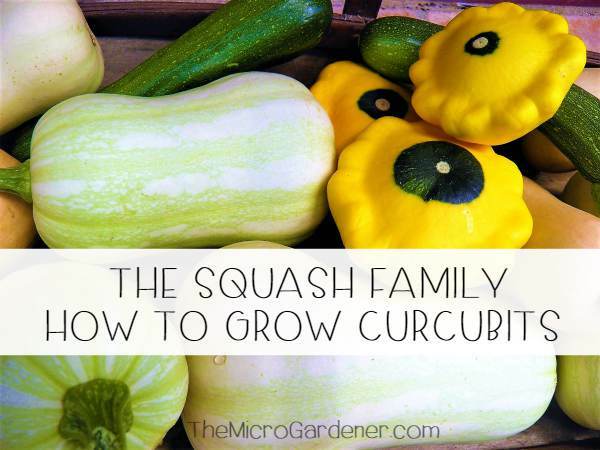 These are quick growing crops you can get on your table in just a few weeks – great for impatient adults and children! Microgreens are the shoots of salad greens and herbs so will grow in even the shallowest container. These edibles need 5-6 hrs sunlight to produce a good yield. 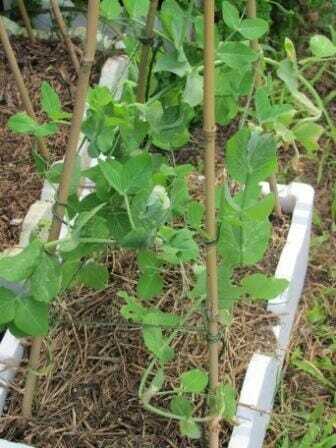 Peas can be grown on a trellis or tepee in these box gardens for maximum production in a small space. I plant 4/box (20cm/8in deep) – one in each corner with a 4-legged bamboo tepee. 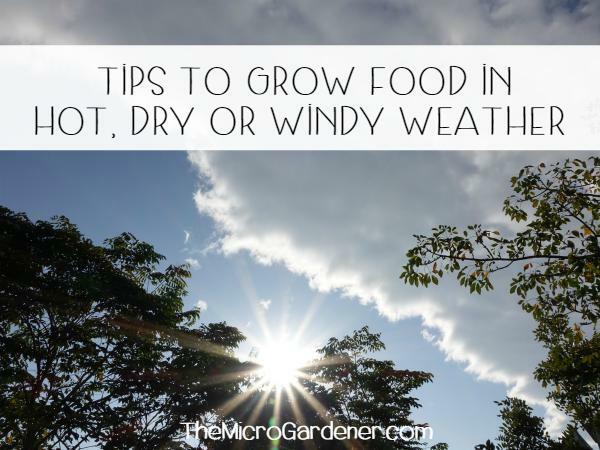 These crops will grow in as little as 15-20cm depth or even shallower if the potting mix you use has all the nutrients they need for healthy growth. 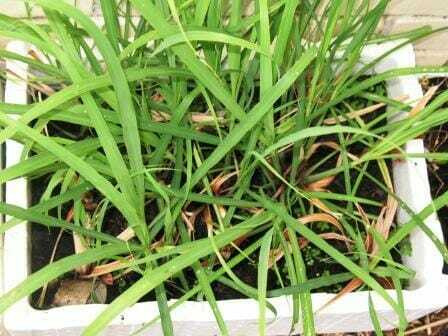 Grow your own lemon grass and save money. 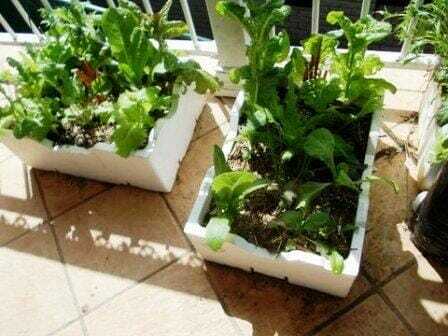 A fantastic solution for balconies and all gardens to save you buying in bulk. 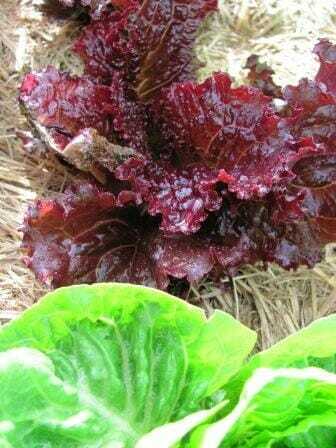 Give your plants regular ‘haircuts’ and just ‘chop and drop’ as mulch! Both Lemon Grass (pictured) and Citronella make fantastic mulches as well as having many other uses and will grow in boxes 25cm/10in deep. 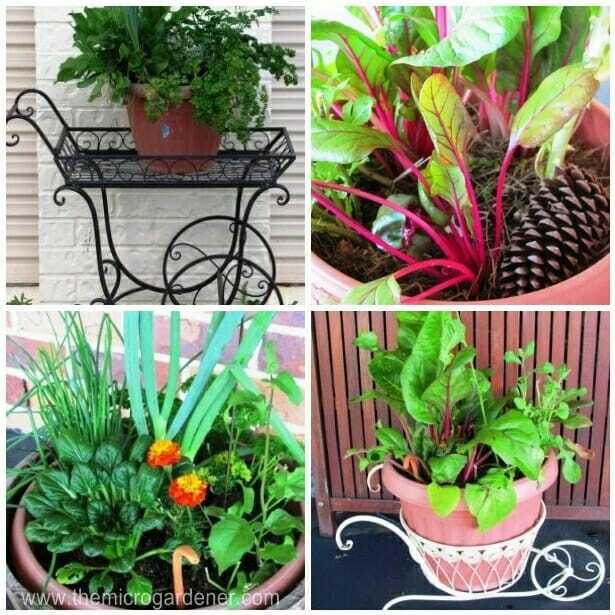 This is an easy option for renters with just a few pots to keep you with a regular supply of mulch – both are multifunctional plants. Home pharmacy herbs and plants are handy for minor aches, pains, stings, burns and everyday ailments. 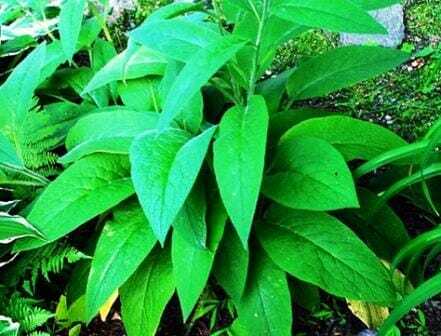 Comfrey grows well from root cuttings in a 20cm/8in deep box. 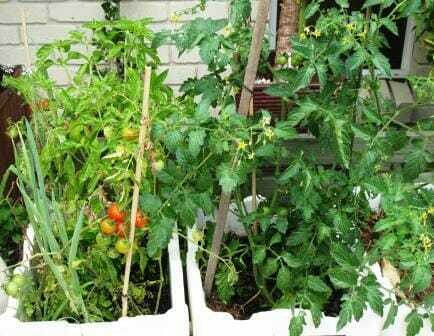 If you want to contain it but still have the benefits of its many uses in your garden, try growing in a box. 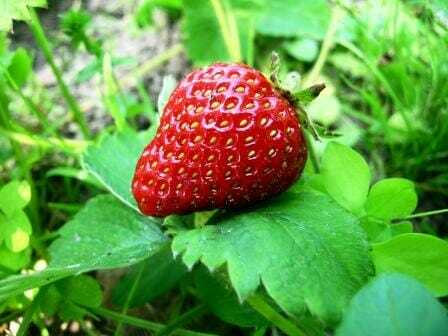 Of course our favourite strawberries had to make it onto this list! They grow well in a depth of 20cm/8in. Pineapple (30cm/12in) – these are a VERY slow growing crop that might be hard to justify if you have really limited space but the home grown flavour for pineapple lovers may be worth the wait! 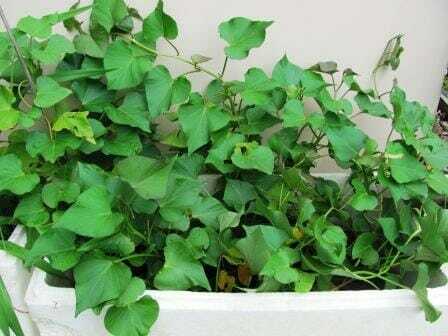 Sweet Potatoes growing in a 30cm/1ft box – nipping off the runners will produce more tubers and steamed leaf tips make a wonderful seasonal addition to stir fries. There are many mini crop varieties including deeper rooted cabbage and cauliflower that are normally ‘container challenged’! Check your seed catalogue or supplier for those suitable for your climate. 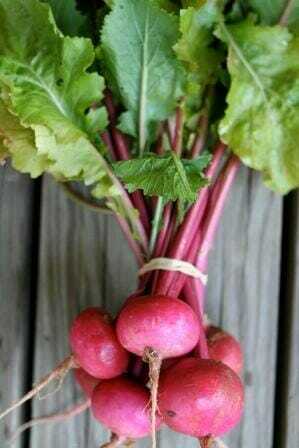 What do you grow in your container gardens? 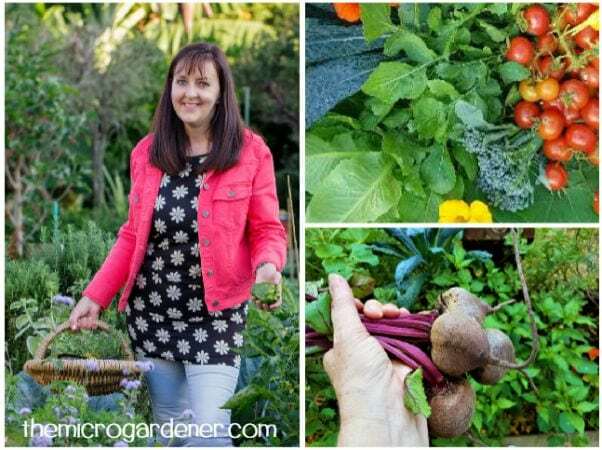 Starting Your Own Box Garden – this is Jackie French’s variation on my instant veggie box garden showing you how to sow densely and then thin out for transplanting. Cut-and-Come-Again Harvesting Technique – well illustrated guidelines on how to harvest your leafy greens to maximise your harvest. Related: Fast Food! 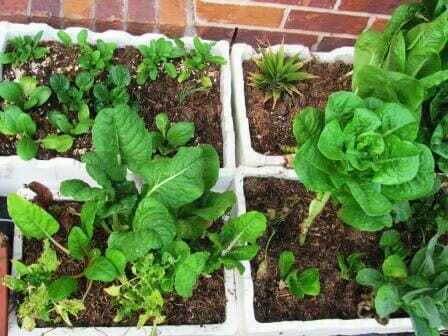 DIY Instant Veggie Garden: Part 1; Micro Gardening; The Benefits of Container Gardening; Getting a Small Kitchen Garden Started; Choose the Healthiest Seedlings & Tips for Growing a Garden in Pots. DG6T, thanks for your question – I have answered this here in Part 1 in this series of articles. This should help you with more information. Cheers Anne.